Syria is a small country located on the banks of the Eastern Mediterranean Sea. Since the classical period this region of the "Middle East" has been known as Syria. Several Emperors of Rome were "Syrian" and the nation even contributed to the spread of Christianity across the Mediterranean basin. Following the collapse of the Roman Empire, Syria transitioned from a Christian state to an Islamic state; which it remains today. Syria eventually became a province of the Ottoman Empire and later fell under the jurisdiction of the French. This would lead to the independence of Syria in 1946. After this period, Syria was involved in a series of wars against the new state of Israel. This led to hostilities in the region between the new Jewish state and the Syrian state. 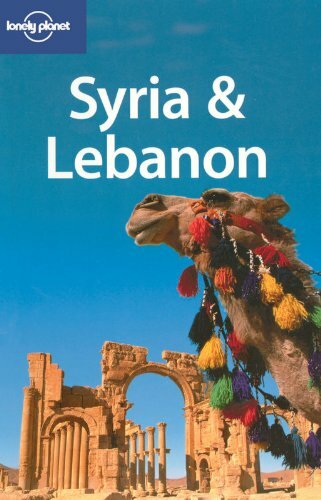 Despite these tensions Syria remains a nation that the world traveler must see and put on their bucket list. The people of Syria are proud and stress ties to religion, family, and country. The people of Syria enjoy traditional or ancient forms of entertainment. One such form of entertainment is called the "Sword Dance" another type of dance is the Dabkeh. The Dabkeh is a dancing form that is utilized during weddings, festivals, carnivals and other family gatherings. Any traveler must go to the haven of folk culture, and entertainment: Damascus. Damascus has long been a center for Syria and the Islamic world. It is a gleaming bastion of ancient history, rich culture, and folk traditions. Damascus is so old it is even mentioned in Genesis! While you are in Damascus you must go and see the ruins of the Temple of Jupitor. The temple was one of the wonders of the ancient world. Originally built by the Roman Emperor Augustus, the temple is now a pile of ruins, but the adventerous traveler will gasp at the wonders of our ancient forfathers and their marvelous constructions. While you are traveling through the great nation of Syria you should dine with festivity! Some of the great dishes that you can enjoy are: Kebab, hummus, honey soaked chopped nuts, and cheese manakish. These are great dishes and are sure to fill your stomach after a day of adventure in the sands of Syria. Many of these foods have their roots in Turkish cuisine, but the Syrians have adopted them for themselvs and made vast improvements! There is nothing in the world like a hearty cheese manakish and a cold glass of coke after a hard day of sight seeing. Syria is a wonderous country with a proud history. It should be a place for any wayward traveler in the world. I encourage anyone with the spirit of travel to try their luck in the glorious dunes of Syria. You will not be upset. Make sure you take this article's suggestions to heart and visit the great capital city of Damascus and have a cheese manakish with honey soaked chopped nuts for me!